This website and its contents are primarily intended for the audiences over the legal drinking age of 21. If you are not yet 21 please close this window. B rewing in Tulsa dates back to the late 1930s with the Ahrens Brewing Company and their Ranger Beer line. The Ahrens Brewing Company opened in May of 1938 as a large scale production brewery which employed more than 30 people at its onset. Their Ranger Beer, Ranger Special Brew, and Ranger Winter Brew were popular among Tulsans of the time; however the brewery experienced only a short existence. They were forced into bankruptcy in February of 1940. The details of what went wrong with the brewery have been lost over time, but it is believed that the Ahrens were put out of business by “unfair” practices from the breweries in Oklahoma City. Additionally, Ahrens Brewing Company conducted operations at a time before Prohibition was repealed in Oklahoma, which occurred in 1959. Therefore, all beer produced by Ahrens was limited to 3.2% alcohol by weight, which was considered “nonintoxicating” until 1995 when the Oklahoma ABLE Commission reported that 70% of all alcohol-related deaths and injuries in Oklahoma were caused by such “nonintoxicating” beer. To this day all “brewpub” operations (i.e. 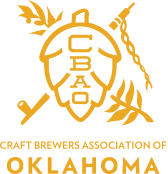 restaurant/breweries) in Oklahoma are limited to producing 3.2% ABW beer. opened in May of 1938 as a large scale production brewery which employed more than 30 people at its onset. Their Ranger Beer, Ranger Special Brew, and Ranger Winter Brew were popular among Tulsans of the time. The mid 1990s saw the return of brewing to Tulsa, but this time in the form of brewpubs and private labeled contract brewing. 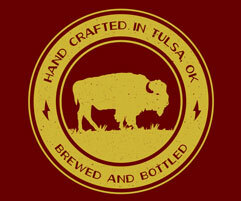 Both Cherry Street Brewing Company and Tulsa Brewing Company attempted the brewpub model, which consists of operating a restaurant and bar as well as tending to brewing operations. Both were met with early success; however multiple factors caused Tulsans to see the downfall of both brewpubs just at the time they were establishing a loyal following. T-Paul’s Beer Company, whose signature beer was T-Town Red, used the contract brewing and bottling services of aDubuque, Iowa based brewing company to produce its beers. While their attempt at incorporating local appeal with their T-Town beers met initial success, the beer was limited to 3.2% ABW to enable the company to market and sell its beer in grocery and convenience stores. This put the company head-to-head with such brewing behemoths as Anheuiser-Busch, Coors Brewing, and Miller Brewing Company, which at the time was a nearly impossible mountain to climb. The beer was met with predatory distribution practices by the Big Three and the company found it difficult in the long-term to compete and they were unable to garner any sustainable market share. In 2008 with craft brewing growing faster than any other segment in the alcoholic beverage industry, Marshall Brewing Company ushered in a new era of Tulsa Brewing. Employing a production model, Marshall Brewing Company focuses on hand-crafting full strength ales and lagers. Marshall’s beers have enjoyed early success and have begun to establish a very loyal local following. This success can be attributed to a blend of market timing, brewing expertise, passion, and great products. Hopefully these attributes will prove to be a solid foundation and Marshall Brewing Company will continue to produce products that Tulsans can be proud to call their own. Cheers to the future of brewing in Tulsa!